Bangkok – Chubb today announced the appointment of Angela Hunter to the role of Country President for Chubb Life in Thailand, subject to regulatory approval. Ms. Hunter is responsible for leading Chubb Life’s operations in Thailand, which provides life insurance and protection solutions to meet the financial protection and security needs of a broad range of customers. Ms. Hunter will report into Cunqiang Li, Chief Operating Officer of Chubb Life. 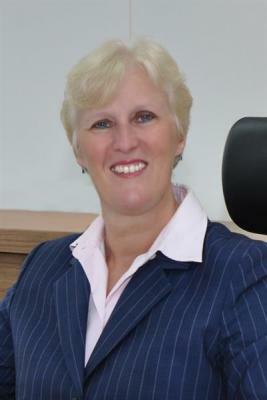 “I am delighted to appoint Angela to lead our Chubb Life business in Thailand. She brings more than 20 years of general management experience and a distinguished career in insurance and financial services to her role. With her wealth of experience in putting customers at the heart of the business, driving digitalization and delivering profitable growth, Angela is a great addition to our Chubb Life team and leader of our operations in Thailand,” said Mr. Li. Angela joins from Prudential Assurance Company, Singapore where she was EVP & Chief Customer, Marketing and Digital Officer, responsible for a diverse product portfolio including Medical, Protection, Savings and Investment. Prior to this, she held senior leadership roles in financial services in New Zealand and Australia.